*Ferris Bueller's teacher's voice* Anyone? Anyone? Is anyone still paying attention to this little blog of mine? Do you still remember Meredith who used to get on her blog and write about every second of her boring life? But as I went to Google that Ferris Bueller GIF, I realized a lot of that movie (probably my all-time favorite movie) had some good moments that have totally captured how I've felt during the first part of the year. Everything's been moving pretty fast. 2015? You cray already. It's mid-February and that's mind boggling to me. I'm trying to do a little more of this stopping and looking around once in a while and have found those beautiful moments where everything just seems so right. all the way to this. THE FUTURE, Y'ALL. WHAT ON EARTH AM I GOING TO DO WITH MY LIFE TOMORROW OR NEXT WEEK OR IN TEN YEARS?! And I really think that I was just in a little shell, afraid to do anything. This GIF means a lot more than you'd think-- I've been trying really hard to not be afraid of anything that life throws at me. I could go on with tons of Cameron quotes from the first part of the movie, but I think I adjusted my attitude a little more towards the best part of this classic movie. We all have a little bit of both Cameron and Ferris in us. 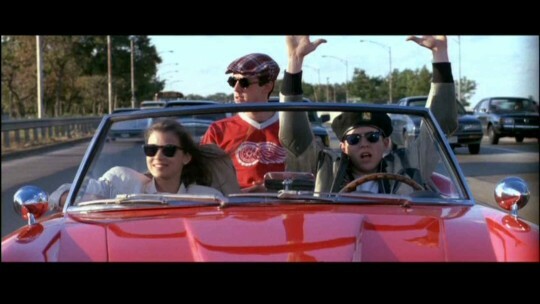 And we all need a Ferris in our lives to keep us going. I mean, did anyone not love Ferris? ...you've still gotta act like you're the queen. It's totally okay. Honestly, that's how I've been feeling all this semester-- trying to completely own and take back everything about myself. No wizard that there is or was is ever going to bring me down....wait, wrong reference here, but still applicable. But there have been some bouts of confidence that I feel like I've tried to regain this year and I'm so glad that's what I'm working on. New Year's Resolutions? 2. Own what I love and everything about it. Among others, these two stick with me and they're the ones I have to make a conscious effort at. Dropping things that don't make me feel good about myself and continuing the good ones, throwing myself into the things that make me happy and not holding back. And I know this was a lot of Ferris Bueller GIFs that don't really make sense (but are they ever not accurate or applicable?) and lots of selfies that were maybe a little unnecessary (and maybe this is the most unprofessional blog post I've ever written), but hey, life is great and I just wanted to relay that in some way. Hey friends-- make sure to stop and look around once in a while. Life is pretty dang sweet. I absolutely LOVE this post - not only because Ferris Bueller, but because it's so true! Life can get crazy, crazy enough that we forget that we're supposed to be having fun. Love this post, you're adorable, and never stop being you, because YOU are wonderful. Meredith!! Hi!! It's so good to see your blog on my feed! You go girl! 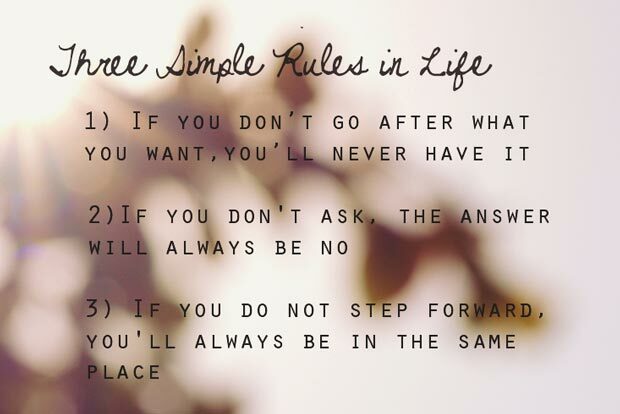 Great reminders. Life is crazy, and we need to cherish every moment we get.